In 2016, China approved its 2016-2020 National Fitness Plan that targets increased sports participation and fitness throughout the country as well as growing the sports industry. The plan also includes ambitious construction for fitness facilities and infrastructure to provide closer proximity and accessibility for both urban and rural residents. With an expected completion date in 2019, the Hohhot City Saihan District National Fitness Center Project in Inner Mongolia is being designed and constructed as part of the country’s plan and to encourage participation. With a site consisting of 91,437 square meters and a total construction area of 33,000 square meters, the building is divided into two zones. Zone A is a multi-functional gymnasium with 5,000 seats for sports events and Zone B houses the fitness center with a swimming pool, basketball courts, tennis courts, and more. The entire project embraces BIM. 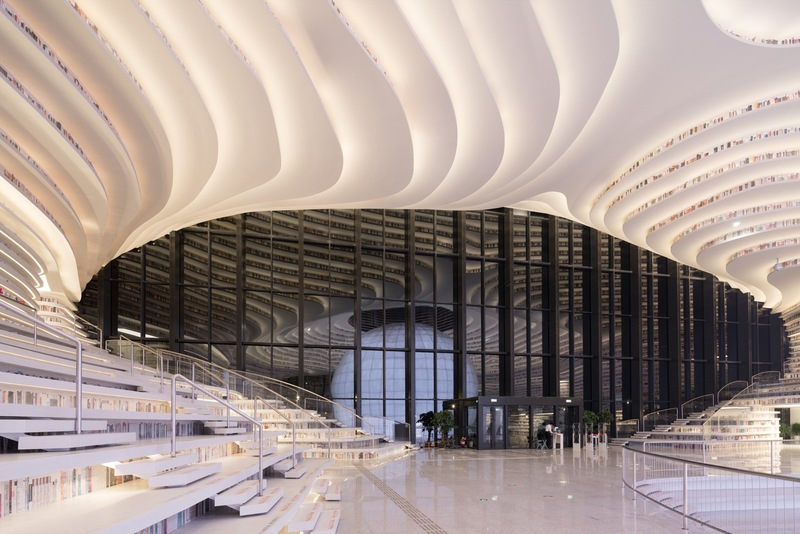 Tianjin Architecture Design Institute placed a large focus on the use of generative design to orientate structural components to tightly fit the finished surface, reducing material waste. 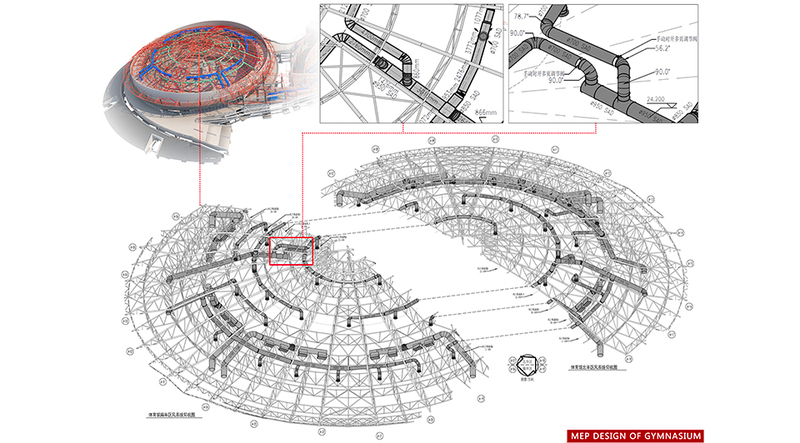 The non-linear design and optimization of the fitness center was made possible through parametric modeling. 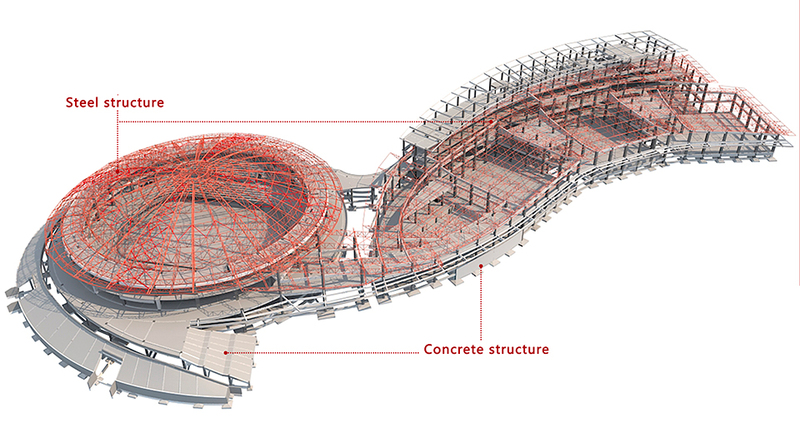 For example, at the junction of the steel roof truss and column top, a truss support structure was generated by compiling scripts in generative design software to automatically align the angle and complete the support design below the truss node. The panel design for the roof was optimized to unify the size, reduce panel variety, and lower the cost. 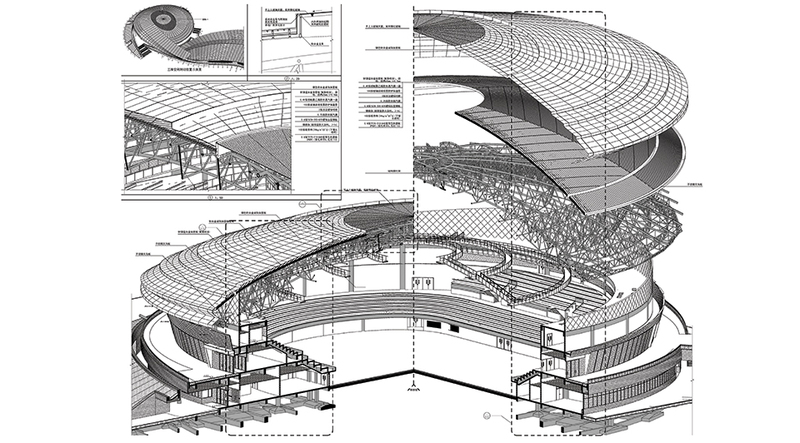 The generative design was also used to quickly place stadium seats and classify them for different functions. Pipes and electrical installation optimization were completed as well. At the same time, this project adopts an open ceiling that highlights the structural and MEP systems while reducing costs. Computational fluid dynamics (CFD) was effectively utilized to analyze environmental simulation factors and optimize the layout. The interior CFD analysis improved HVAC selection and the layout of the sports buildings, which are sensitive to airflow.